The design concept for the Regional Support Center evolved from Apple’s need for a functional, corporate facility, sympathetic to the natural environment, and the building developer’s desire for an efficient, economical facility. 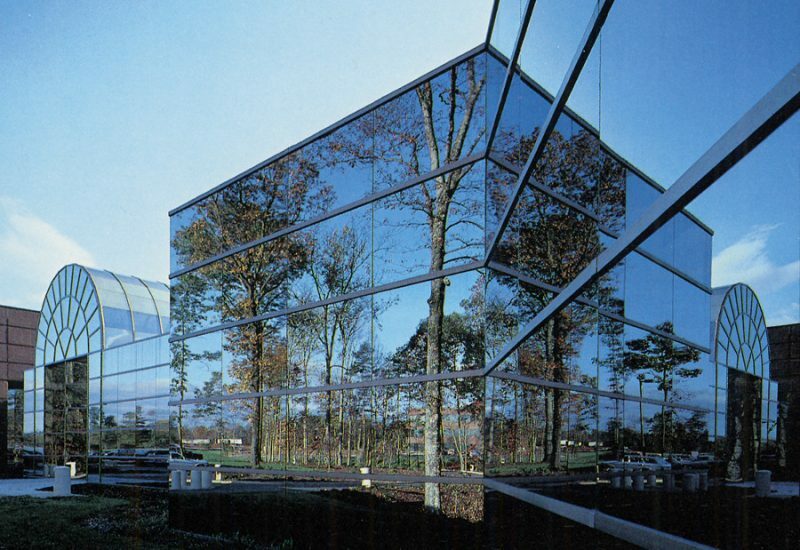 The Center is sited to make the most of the natural woodland setting, with a glass curtainwall offering personnel a panoramic view of the surrounding forest. The building interior features open space and partitioned work areas to maximize access to natural light and outdoor views. The 110,000-sf building’s focal point is a vaulted skylight which signals the building entry and main reception area. The skylight continues down a corridor to the employee lunchroom, which over-looks a landscaped patio and garden. The facility was designed and constructed in just 92 days and earned an AIA North Carolina Award for Excellence in Architecture.